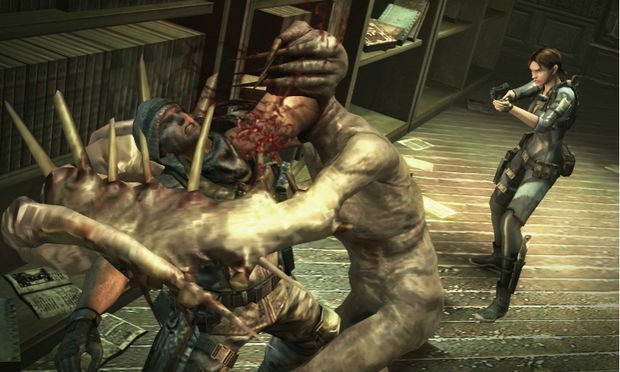 Much to the dismay of a certain contingent of fans, the Resident Evil series has slowly moved away from its survival-horror roots and towards a more action-oriented style as of late. Those pining for the days of claustrophobic corridors and terrifying tension may be looking towards an unlikely source for their fix soon. 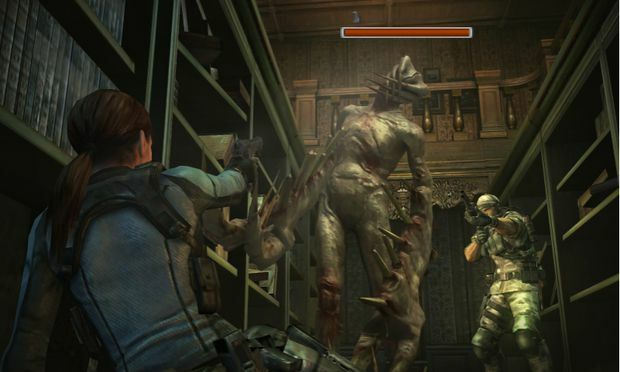 Resident Evil: Revelations for the Nintendo 3DS is aiming to bring back the horror elements the series first gained notoriety from, without sacrificing the advances in mechanics that series has seen over the years. 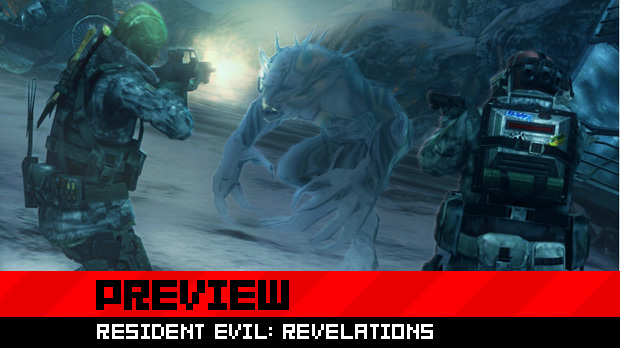 Throw in an incredibly noteworthy external scriptwriter and compatibility with the Circle Pad Pro, and Resident Evil: Revelations may have a few head turning tricks up its sleeve. Much of Revelations is said to take place on an enormous, derelict ship, which I imagine will lend itself nicely to the game’s aim of returning to the horror elements the series is known for. Also back are various series mainstays, including Chris Redfield and Jill Valentine, who will be joined by a handful of new faces, including the fourth playable characters, the pair Keith Lumley and Quint Cetcham. When Chris and his partner Jessica go missing, Jill and BSAA operative Parker Luciani are dispatched to the ship to find them. Lumley, Asian and the taller of the two, and Cetcham, Caucasian, were described as “a pair of otakus.” In the gameplay segment that featured them, they appeared to be in a snowy, mountainous environment and had some surprisingly oddball dialogue -- the terms “yo” and “for real?” were used -- brought to life by some bizarrely camp English voice acting. In the developer-played demo of these two characters, also showcased was the Genesis Bio Scanner which, aside from scanning the environment and enemies, is a necessity for locating the new Invisible Hunters, a pack of which ambushed the pair. 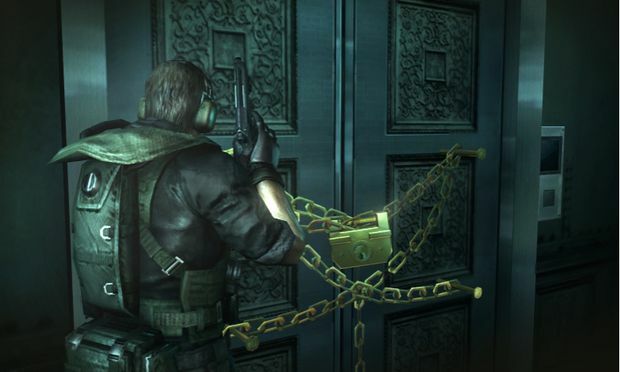 Aside from the supposed return to horror, the most interesting aspect of the game is the promise of “the best Resident Evil story.” While that could be taken as a company simply doing their job in hyping and heralding their product, it becomes a much more reasonable assertion when you factor in the external writer brought on to handle the script. The script was written by Dai Sato, who has worked on such anime series as Cowboy Bebop, Samurai Champloo, and Ghost in the Shell -- some of the most popular anime ever created, especially among Western audiences. Cowboy Bebop alone is THE BEST THING. Needless to say, I’m intrigued. 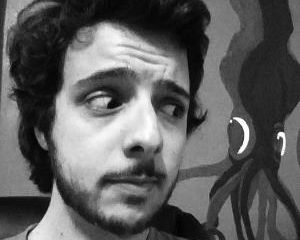 What’s more, Sato, who has been doing more writing for videogames as of late, is actually a longtime Resident Evil fan and was completely excited to work on the project. One other interesting tidbit is that the game features full voice work in English, French, Italian, German, Spanish, and Japanese. You can also mix and match subtitle language and voice acting, which is a neat addition, especially for anyone studying any of these as a second language. Personally, I’ll be playing in Italian (with English subtitles) should I get the game -- and not just because Jill’s Italian voice actress sounded the sexiest out of the bunch. 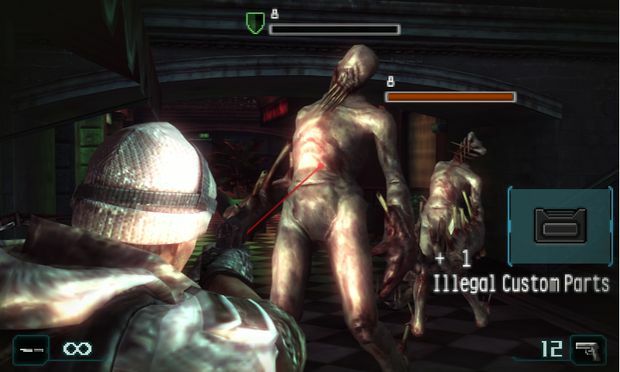 My actual hands-on time with the game was limited to Raid Mode, Revelations’ local and online cooperative multiplayer component. I’m told the game plays similar to Resident Evil: The Mercenaries 3D, and it doesn’t play much different from either of the last two main, console Resident Evil games. Your characters stop to shoot and melee, unless you’re outfitted with the Circle Pad Pro, while the touch screen displays a map and your inventory. There are a wealth of gameplay customization options, including three button layouts (four including the Circle Pad Pro’s unique mapping), first-person or over the shoulder aiming, and even different colored laser sights for the visually impaired or fantastically stylish. There is also an option to increase, by two levels, the depth of field provided by the 3DS’s display outside of the 3DS’ inherent slider. When I bumped it up to either option past “normal,” the display was always a mess and difficult to see for me, but on its normal setting I thought the 3D actually produced a nice effect. I was rather impressed by the graphics as well. At various points there were a good deal of enemies on screen and the animations were particularly fluid. Raid Mode is sort of a linear version of the increasingly ubiquitous “horde” mode. You progress through 20 different levels, on two different difficulty settings, and your aim is to survive and kill all the creatures along the way. Zombies and other monsters occasionally drop keys that allow you to progress further, as well as ammo, which can be appropriately scarce. One you clear a level of all enemies and reach the end, you’ll find a rotating, floating gold coin, which you hilariously punch, causing it to shatter, in order to complete the level. Stage ranking is basically based on how quickly you complete stages, though a whole slew of other statistics are shown after completing a stage and you’re rewarded with new guns or parts after each level, the quality and rarity of which are mostly contingent on your performance, even if there is a bit of a randomness factor. I played a good deal of Raid Mode and enjoyed my time with it. Even early on, it has a certain addictive quality to it that encourages you to want to keep playing it, especially when I tried the seventh level and lost several times over. (Though that might just be stubbornness that compelled me to continue.) The difficulty doesn’t scale, so some of the earlier levels, which are already a bit of a breeze, might be unfairly easy in multiplayer, but the fact that the seventh level bested me multiple times, though I was going solo, is enough to show there’s going to be a sufficient challenge to the game -- and I wasn’t even in the harder difficulty setting which was still locked on the units I played on. Raid Mode was definitely fun, but I’m still more excited to see more of the campaign mode, especially with the promises of great writing and good old fashioned scares. Of course, if you really want the latter, it’s recommended you play the game with some headphones on and in the dark. Got to set the mood.